We usually judge entertainers' star qualities by many different standards. And the most objective standard is to see whether the entertainer is appearing in TV commercials or not. If the star is receiving great attention from advertising world, it means that he is winning heart of the public. Advertisers aim vigorously at perfection when they choose models for their brands because the model's image is directly connected to the brand's image. Well, recently, Big Bang's G-Dragon is making the biggest impact in Korean advertising world. 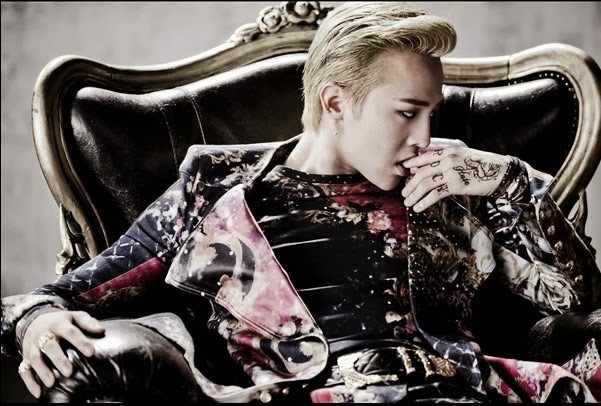 As the most preferred celebrity for advertisements, GD is a model for Tele-Communication firm, beer, cosmetics and more. I've listened to what the advertisers think about G-Dragon. LG U+, the communication firm, has chosen GD as a model for its 'LTE 8' brand. GD is in competition with actor Lee Jung Jae and actress Jeon Ji Hyun who are the models for SK telecom's 'LTE-A' brand. LG U+ said "We are leading LTE market. GD also has been the unchallenged leader in the world of fashion and music. Through GD's appearance in our advertisement, we want to strengthen our image as No.1 LTE brand." Add to this, as you know, GD has a special bond with the number 8. It exquisitely fits with 'LTE 8' brand. He was born on August 18, 1988. This has been mentioned in GD's songs. And in 2013, he held a weeklong art exhibition titled 'Space 8'. He showcased exactly 88 items related to the number 8. The exhibition included photographs as well as various stage outfits and props from his world tour. At that time, GD stated, "I just really like the number." In the advertisement of Hite Jinro's 'Dry d', the beer brand, GD shows off his charm as a freewheeler. Hite Jinro stated, "We have been looking for young and passionate model who can appeal to people in their 20s. GD is the perfect person for the advertisement because he is the nation’s most prominent and influential cultural icon." And added, "GD's fashion, song, dance and way of speaking have been recreated as culture of young people in their twenties. Through the advertisement, we want to appeal to young people." Yeah, Hite Jinro paid attention to GD's big influence to young people. He is one of the most influential people in Korean music, obviously. There are not many male Kpop idol stars who have been chosen as models for cosmetics brand, which means more complicated standards can be applied when the advertisers choose brand models. The Saem said "We chose GD as the star who has the most beautiful face. He has varied beauty and we thought that he can express our brand image well." And added, "As a global star, he is influential to people who are foreign nationals too. By choosing GD as our brand model, we are anticipating that we can raise brand awareness in overseas markets.